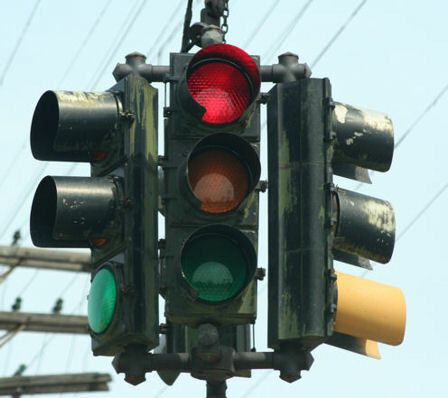 From the ground, 80% of traffic signals look the same. However, when viewed up close (like these) you can see the diferences in contours on the housing. Seems to me, though, they all function the same. Aside from maybe the lenses changing the degree of visability, were there any real functional differences between all these models? Functional as far as the lamp\housing unit and not the controller. Signal, interesting and well done! Fascinating! Thanks. I wish that signal at 14th and Ferry Park could talk. It saw me many, many times 45 years ago. Old Providence Hospital was just up the street at the Boulevard then. Old Victorian place; shame it was demolished. 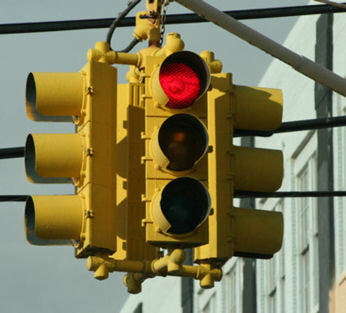 I remember Livernois used to have those traffic lights with the huge red light on them. As a kid, I found this quite annoying for some reason. Yeah, Detroit_signal, can You explain the special bulbs that were used in them?, A buddy gave me one, It looks like a regular bulb,(somewhat rounder and clear glass), But he says they burn forever. 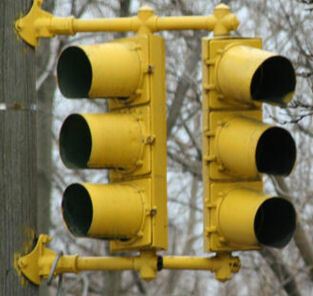 As an aside-I had my daughter believing for years that the lights were controlled from inside by "traffic light munchkins".I told her that the munchkins would look through the lenses,count a certain number of cars,flip a switch and the light would change.It wasn't until her early teens that she wised up. Buster- I've been by that light many times, truly an oldie...probably mid-1940s Eaglelux. 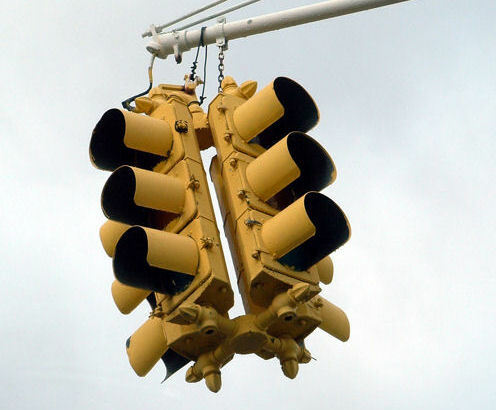 Living in the D - Traffic signal bulbs just have better filaments to withstand vibration. They also have more symmetrical filaments so they can be perfectly focused in the reflector housing for optimum sight and distance levels. They come in 67,69,115,130 and 150 watts. They are also noticeably rounder like you said. These are all really beautiful. I have one that I believe is from the 1940s. At the Ann Arbor Hands-On Museum there is an exhibit showing the insides of one of those old signals. It shows the parts that cycle the three different colors. Very cool. Yeah, Thanks D.S., Now I know, I wish My house bulbs were as good. 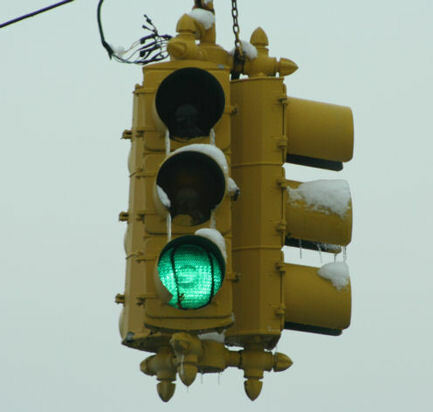 Very interesting thread and photos of old Detroit traffic signals. 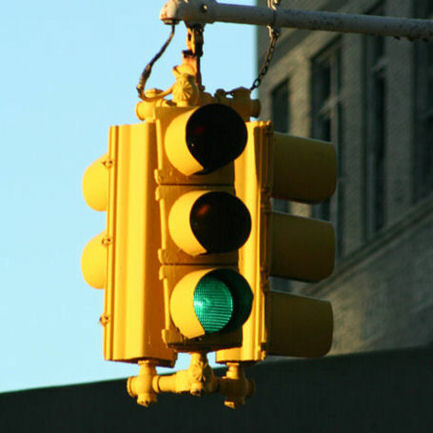 Reminds me of one of our classic cases when we represented a Checker cab driver in a traffic court hearing and when asked by the judge what was the color of the light before he entered the intersection the cabbie replied "almost green". Crystal, if you can post a picture of your signal, I can tell you everything you need to know about it. Was it from Detroit?? Here's a Detroit traffic light from 1933. Not very good picture quality, though. Sorry. Unusual in its post mounting. Post appears to be painted 4 different colors (for visibility?). Enlarged visor (proper terminology?) over the amber light (why?). Those are great. Wish the city could preserve them. A lot of cities are kicking themselves because they didn't keep theirs. A friend of mine told me they are easily retrofitted with energy-saving "inner'ds". That picture is most likely of an early Crouse-Hinds 4-way signal. the enlarged yellow visors are called tunnels - most signals use them today around here. They were in place so that cross-street traffic could not see when the light was about to change in the other direction. The cutaway or cap visors on the other lights were just standard practice at that time. Another reason why we use tunnels rather than cutaways is to keep as much sun out of the indication during low-sun periods. There are a few of us in the area who have been able to restore some of these discarded oldies for our personal collections. They really are classics. Yes, all them can be retrofitted with new LED modules instead of bulbs. This cuts energy consumption in a huge way for big cities like Detroit. Also, new signals are being strung from about Gunston to State Fair E on Gratiot. 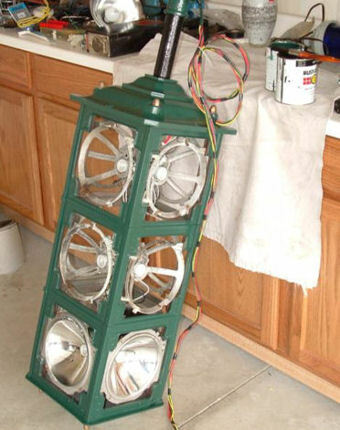 I remember seeing traffic signals where there were louvers in front of the bulbs. 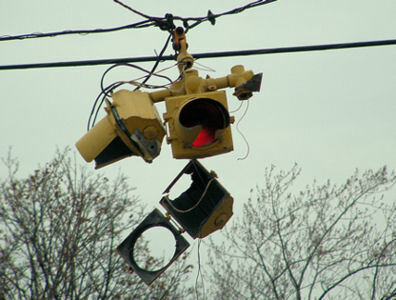 What about the flashing 4 way red and yellow single bulbs signals? 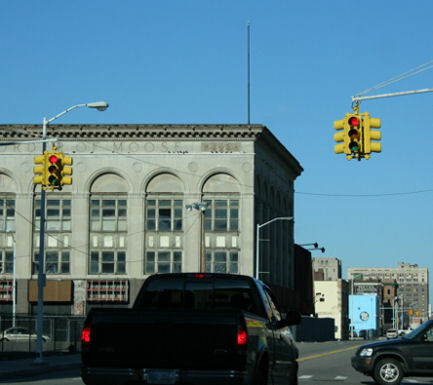 I also remember that many of the traffic signals in the NE section of Detroit were black, not yellow in the 60s. I think that the flashing 4 way signal at the intersection of Dickerson and Houston-Whittier was black as well. When they began to be replaced with "caterpillar yellow" I did not care for them, and liked the black better. Too bad that cameras were not as sophisticated back then, as they are now with the amount of image storage. In the 60s, I of course had no idea that so much of the unique buildings and homes in Detroit would be gone or abandoned and gutted in 30 years. But the cost of one-flash bulbs and film/developing did not lend itself to inadvertently taking random pictures of things taken for granted like traffic signals without including family members in the picture. How old is the signal on Dearborn Avenue, almost directly below I-75, in Delray? The two overhead signals at the closer intersection by the bridge are newer polycarbonate replacements (1990s). The overhead signal located just east of that by itself is a 1970s Crouse Hinds type R signal. The signal on the pole next to it is a 1960s Eagle Signal. The controller cabinet located in front of Beepers is an older Eagle Signal EF-20 series electromechanical controller. How do you know all this? 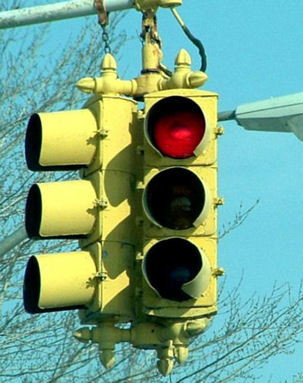 Is there actually a book written on identifying the type and age of traffic lights? I have to start paying better attention to the small differences in each light I encounter. Any old ones in SE Oakland county? No books...just years of plotting routes and driving the neighborhoods to collect all this information. About the last 10 years or so. By the way, if anyone has any old photos that signals happen to be in (probably not intentionally, LOL), feel free to share and I'll try to tell you a little something about them. 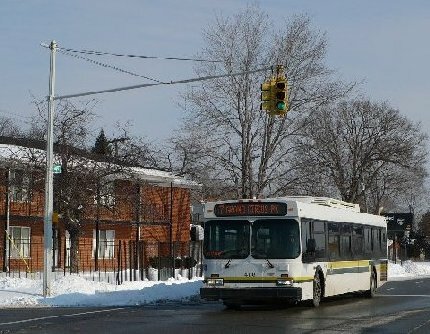 Actually, there are a couple of Eagleluxes made by Eagle Signal still in service at Woodward Heights and Hughes in HP. Also a small stretch of a few oldies along 9 Mile as well. Signal, I think that some of the oldest signal devices in the area are probably the ones that are single bulb flashers. I've run across some examples that look absolutely ancient. "Actually, there are a couple of Eagleluxes made by Eagle Signal still in service at Woodward Heights and Hughes in HP. Also a small stretch of a few oldies along 9 Mile as well." 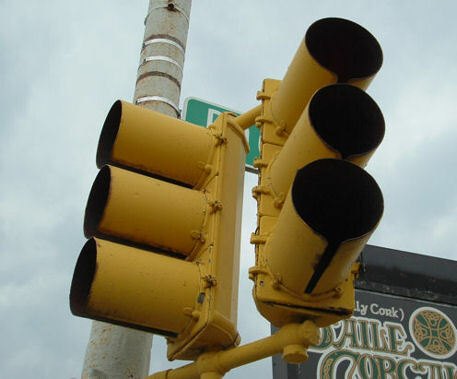 Signals at McGraw and Lawton are made by Econolite - vintage 60s and 70s. They've never worked since I saw them 5 years ago. Those would be 1940-1950 most likely. I beleive Eagle stopped producing that casting somtime around 1950-ish.